We have an old Volvo V40 (2000-mod). The default car-stereo has radio, cd and cassette, which is not that bad for this old car. In the first 6 months of this year (2017), Norway has switched from radio/FM to DAB+, making most car-stereo’s out there useless, including the default stereo in our Volvo. After a few weeks without radio and listening to an old CD, with 13 songs on repeat – I got tired and started looking for a more modern player. I started to search in Norwegian stores and got a little shocked of the prices and quality. Take Kenwood DPX-7000DAB for example, which costs more than the EONON GA2164 and have an old one-colored LCD display and ugly digital letters. I had to double the price to find something remotely close to the Eonon-player, like some of them from Pioneer. After testing a couple of Pioneer-players, my conclusion is that they are stuck in the 90’s. Pioneer is hard to use and the GUI is not that impressive. 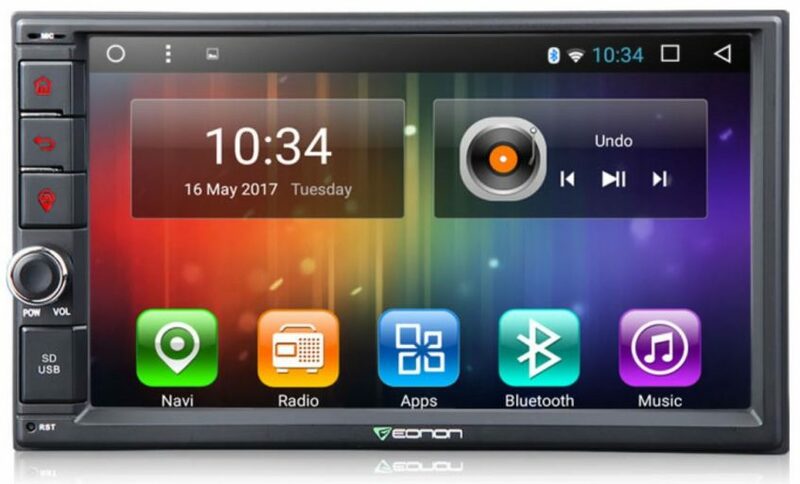 I started looking at Android-players on eBay and came across Eonon, which also had their own online store. For some reason I feel more comfortable buying directly from an online store, than eBay – because then I know there is someone who «own» the product, and not some cheap Kina-reseller product. The first thing that impressed me was the delivery time. It took about a week from when I clicked «add to cart», to the player delivered at my door. I’m not sure where it shipped from, but it probably traveled half across the globe. The second thing that impressed me was the accessories. It’s delivered with all the cables I needed, including a GPS and Wi-Fi antenna. Also a tool to open some of the covers in the car. It supports DAB+ with an adapter, which is not included, but it’s Android! It have apps and Internet – so why use DAB…? So far I have only tested Spotify as an app on the player, and a through Bluetooth from my iPhone. The player itself is a bit smaller in depth than a usual 2-din, probably because it don’t need room for a CD. This will give you room for the cables behind it. The buttons and volume-control on the side are great and easy no use while driving. I also like that they have SD-card slot and USB in the front. The only downside here is that the USB is micro – but the package includes an adapter cable to regular USB and two USB-cables that can be connected in the back. I only connected one USB in the back and placed it in the glove compartment. The GUI is beautiful with nice colors and a bright screen. I maybe wish that the screen could have been a little bit brighter in sunlight, but it’s not that bad. The default home screen has big buttons on a dock at the bottom, with date, clock and music control above. The included apps like radio, music, Bluetooth are also nice and optimized for use in a car with big buttons. I did not figured out if I can switch the default apps on the home screen-dock. I tried to remove the Radio-app, as I don’t need it, but no luck yet. The navigation is Google maps, but you can change the default navigation app in settings. The resolution is OK for regular use, but there could be a problem to see what you are typing sometimes. When I tried to log in with my Google-account, I didn’t see what I was typing while using the onscreen keyboard. So far, I have not seen any form of lagging when navigating through the GUI. After a lot of testing I only used half of the RAM/memory, so there should be more than enough for regular use. You can also set the shutdown timeout under settings. I adjusted it from 0 to 10 minutes, so the player doesn’t need to shut down if I’m stop the car for a short time. The startup-time is not as fast as a regular dumb player is, but it is a lot quicker than e.g. my Samsung tablet. I have not taken the time from a cold start yet, but it is not more than 5-10 seconds (I think). I absolutely recommend the EONON GA2164. It is easy to use, with a nice GUI to navigate in while driving. It has an Android OS, so the flexibility is huge. You can add songs directly on the player or a SD-card – or just play from Internet (Spotify or a radio-app) – or just stream music through Bluetooth. Getting out the old player was simple as it had built-in handles to drag it out. The Volvo didn’t have default ISO-cables, so I had to order an adapter. The original player was fastened on some plastic rails on each side of the 2-din hole. I had to use a knife, hacksaw and sandpaper to make them a few millimeters smaller, to fit the Eonon player. I connected the GPS-antenna, WiFi-antenna and microphone, and ran the cables under the steering wheel and up the side. The antennas where placed on top of the dashboard, and the microphone was mounted on the on the beam-cover, just beside the sunshade. I only connected one of the two USB cables in the back of the player, and dragged the cable and plug to the glove compartment. 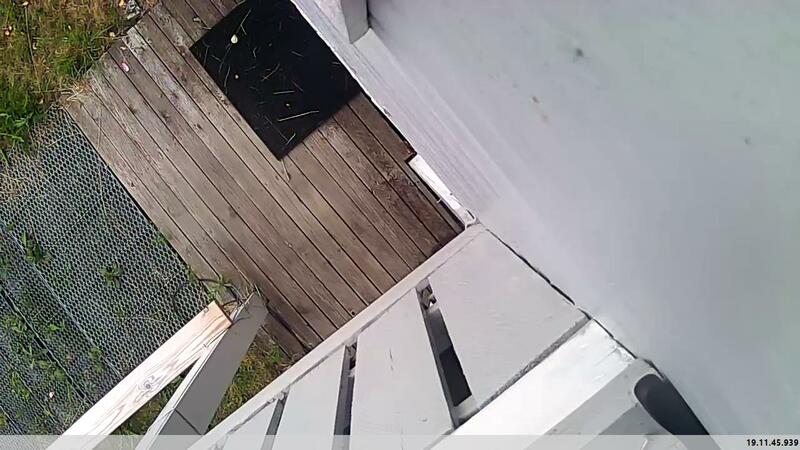 I didn’t mount the camera just yet, as I don’t know where to place it or if I need it. Mounting a new player in an old car like this is fun. There is always a lot of room and very little need of customization.